Currently studying for a PhD on the work of Newcastle writer Jack Common, Keith Armstrong has had poetry extensively published in magazines and has performed on several occasions at the Edinburgh Fringe Festival and twice at the Cheltenham Festival of Literature - with Liz Lochhead and with Sounds North. Katrina Porteous was born in Aberdeen and now lives in Northumberland. 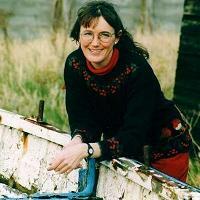 She writes about the sea and the fishing community, and in 1996-7 was Writer-in-Residence in Shetland. Best known for her radio broadcasts, she has published five collections of poetry, including The Lost Music (Bloodaxe 1996) and Longshore Drift (Jardine Press 2005).